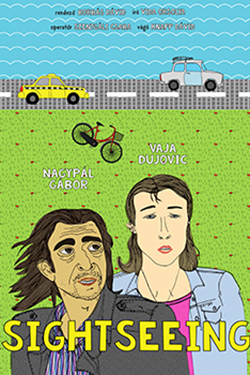 Bruno is a petty thief making his living on the streets of Budapest. When he accidentally steals a taxi, a foreign girl, Dunja, gets in. She offers him money if he takes her to Vienna. Born in Stockholm in 1986. Graduated from film studies at Napier University, Edinburgh, in 2011; and in 2015 with an MA from Budapest Metropolitan University. He has worked with Ruben Östlund.